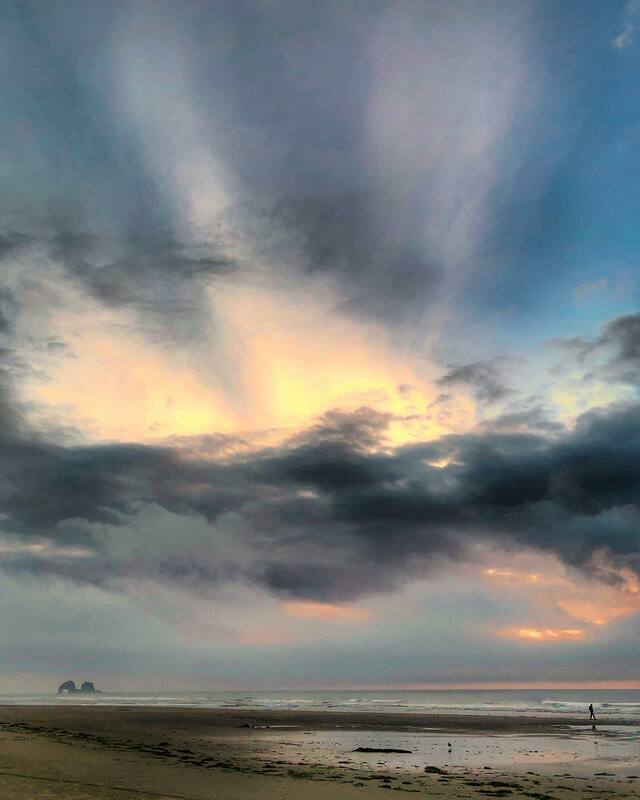 When the fog lifted, the #sunsets were spectacular on the #OregonCoast; being the west coast and all that. I tried convincing Ruan that the ocean will sizzle when the sun touches the horizon but he gave a spiel about how the sun & the earth are suspended in space. Bah! Kids, these days!